The rest of my ANSI screens. 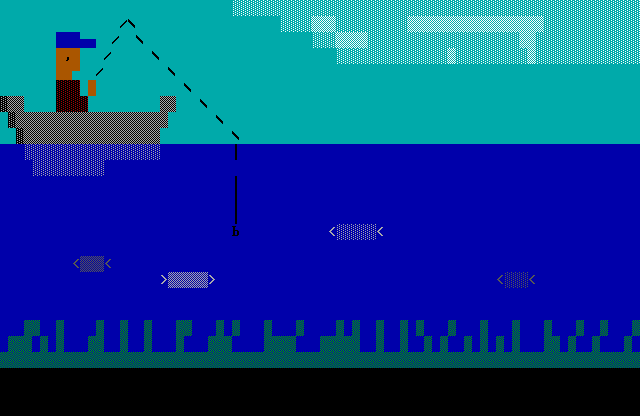 There seems to be an interest in my old ANSI screens I created during the BBS days of the 1990’s. What I uploaded to this blog so far was only a small, handpicked sampling from my library, but now you’re about to see the rest. 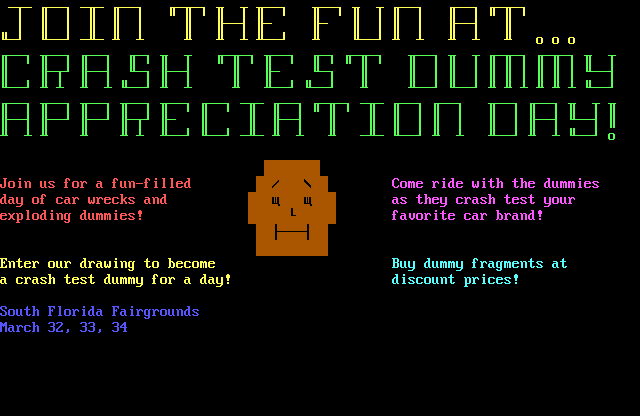 Below is a slideshow of my complete collection of ANSI screens. Most of them were made by me but watch out, there are a few cool screens I stole from the other boards I frequented during those days. Enjoy the show. During the good old days of hanging out on Bulletin Board Systems during the 1990’s, I developed an appreciation for ANSI art. I purchased a program called TheDraw and used it to create dozens of 16-color ANSI screens, some which I uploaded to other BBS’es I frequented. Some screens were for message boards, some were used as the main logon screen, while others were just plain silly. My screen-making skills were quite in demand in those days. I still have my ANSI screen files today and wanted not only to view them but to convert them to a graphic file format for easier viewing. During my search for such a program, I came across some very old MS-DOS programs that allow me to view my ANSI screens but there was no way to convert them. Enter PabloView, a free image viewer for Windows that not only views ANSI screens but also converts them in bulk to other file formats. Other common file formats are supported, including JPG, BMP, GIF, TIF and PNG formats. PabloView also supports RIP (short for Remote Imaging Protocol), which allowed Bulletin Board Systems to implement a graphical interface decorated with colorful 16-color graphics. I used a program called Dead Paint to make my RIP screens and uploaded those to boards that supported RIP. It’s nice to come across a program that lets me view these relics from the past. ANSI art as seen by Ghost Sites. Ghost Sites did an article on my web site’s ANSI gallery back in 2003 and had linked to some of my ANSI art to illustrate this unique genre. My site’s been long since gone so their links to my ANSI art no longer work. I reprint a portion of their article here along with my screens they were referring to. It’s eye-opening to get a glimpse of what online life, culture, aesthetics, and graphics were like a mere 10 or 12 years ago. One of the best places to get reacquainted with the lost zeitgeist of this prehistoric, pre-Web era is by pointing your browser to one of the Web’s many obscure repositories of ANSI Art. What was ANSI Art? Well, according to the Webopedia, this brief but important computer art movement owed its origin to the inclusion of a device driver called ANSI.SYS that was first bundled with MS-DOS 3.3. This driver allowed “extended screen codes”, otherwise known as “escape sequences”, to be used to define a series of colors that considerably spiced up MS-DOS’s traditionally ominous and forbidding “jet black” screen interface. Images created in this way frequently migrated out to Bulletin Board Systems, in fact, it was the very popularity of these BBS’s which created a demand for so many of them. The easiest way to get a feel for the ANSI Art genre is at http://www.mjbdiver.com/ansi/. Here, through clever use of a Java applet, 35 early ANSI works – many of them serving as the home pages of BBS systems – are easily accessible. ANSI Art was never really accepted by “serious digital artists” (who used Macs with better resolution and higher color depths), and perhaps the state of psychological exile – imposed from within by the limitations of ANSI, and from without by the scorn of the “fine arts” Mac-heads explains the negative images we often see in ANSI collections. or walking on a beach). You can read the rest of the article here. It’s a real honor to be mentioned at Ghost Sites. 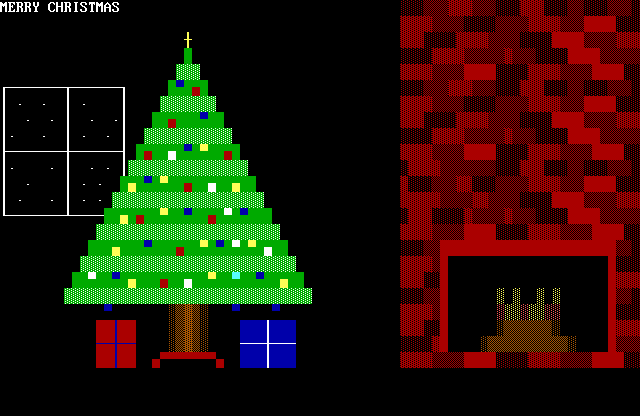 Here are some old ANSI screens that I made many years ago using a shareware program called TheDRAW. 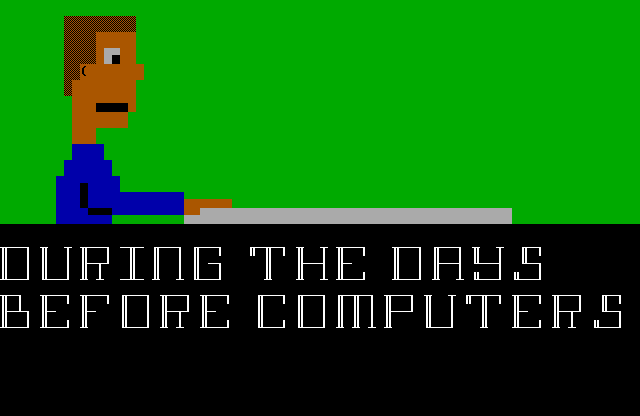 Some of them once appeared on various Bulletin Board Systems that were so common during those days. Ahh, what memories of hanging out on the old boards with a 2400 baud modem. To keep those memories from fading, I have posted some of my favorite screens here. Here’s to the good old days. 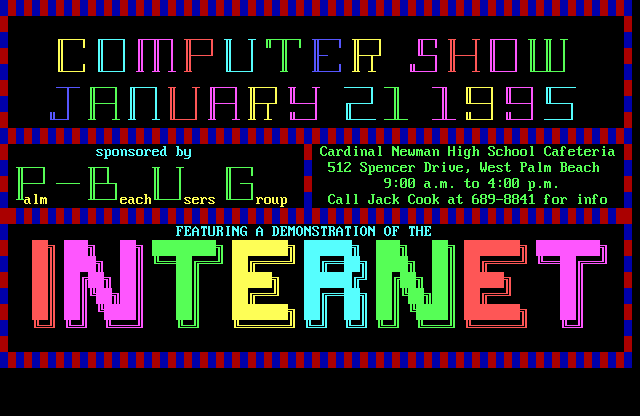 This first screen was one I made promoting the Palm Beach Users Group’s annual computer show featuring my demonstration of the Internet. 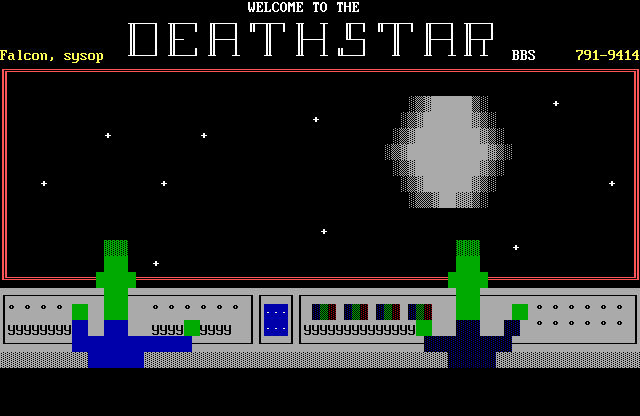 This is a splash screen I made for the Utilities/ANSI sub-board on the P-BUG BBS in which I was sub-sysop. There I uploaded useful MS-DOS programs to the file library and posted about them in the sub-board. It was also a good place to show off my ANSI screens. 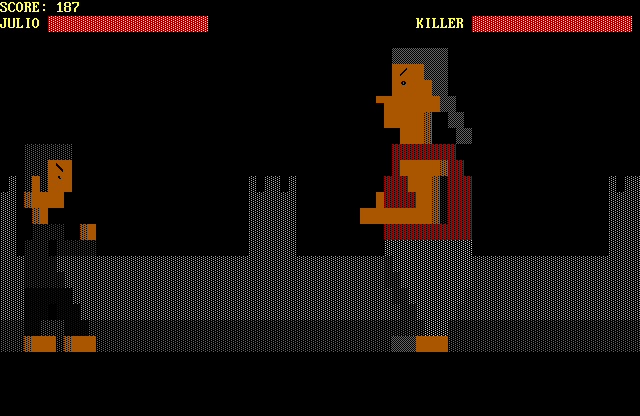 Here’s a screen I made for a BBS called The Question Box. Its sysop needed a screen for the board’s jokes section, so he called upon me to make a screen for him. My screen making skills were in much demand back in those days. 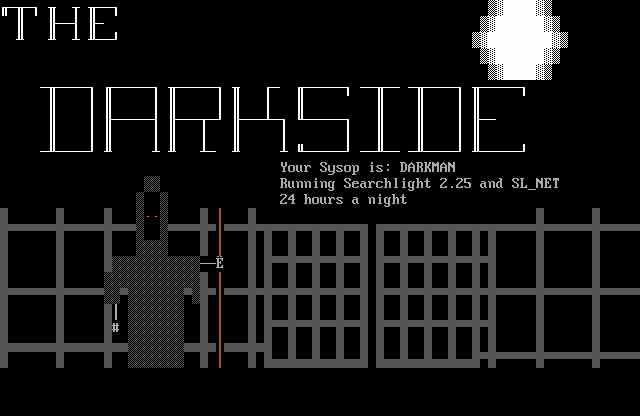 I’ll be posting more of my ANSI screens in future posts.